A lot has happened since the weekend of 11th July. 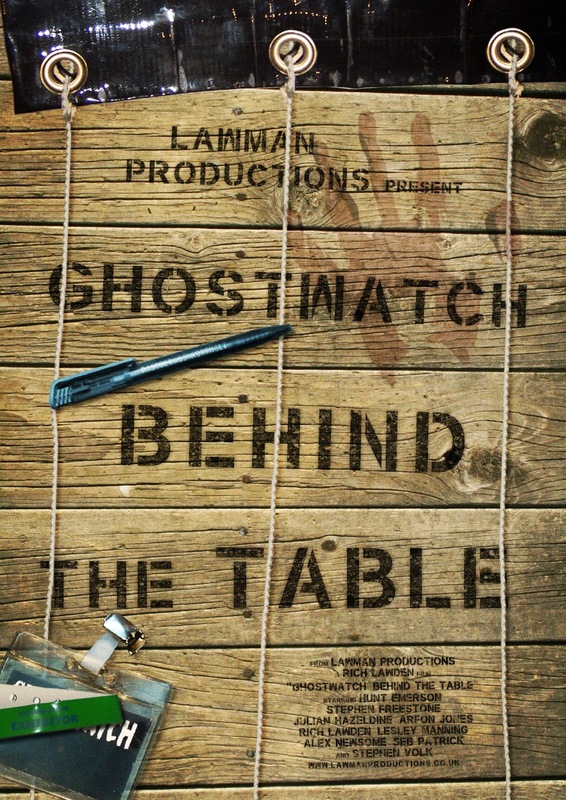 It's hard to believe almost a whole month has passed since we were manning our very own Ghostwatch table at the London Film & Comic Con in the heaving halls of Earl's Court 1. Here's an exclusive look Behind the Table at the event, featuring brand-new interviews with creators, Lesley Manning and Stephen Volk, Fortean Times cover designer, Hunt Emerson, plus fans and contributors, Stephen Freestone, Julian Hazeldine, Arfon Jones, Alex Newsome, and Seb Patrick. In retrospect, this can almost be considered a quasi-sequel to the doc, itself. Thanks to everyone who braved the sweltering heat to take part! It was great fun speaking with you all, and hearing a fascinating range of new Ghostwatch stories. A special shout-out must go to musician, Ian Evans for use of the track, Lord Frith, from his fantastic E.P., Everything is the Same Subject.